We went to Texas last night: at least it sounded like we did! We were transported from Rome to a Country Western bar. 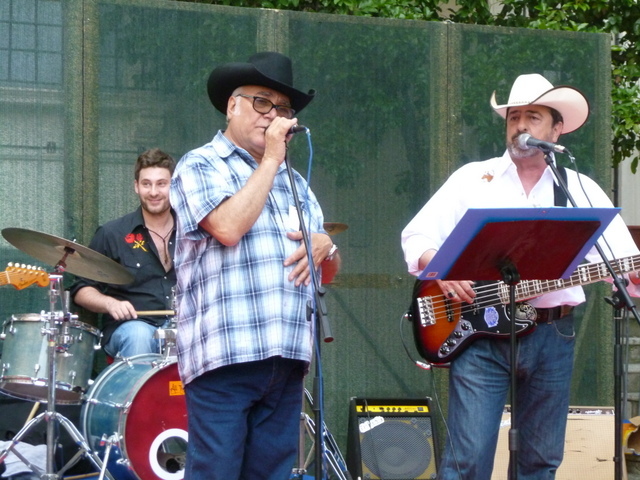 The Italian band “Texarkana” played the Embassy Summer Bash. The guy in the middle sounded more like Johnny Cash than the man-in-black himself. Yi-hah! Did you sing along? Not my favorite music 🙂 but it was so fun to hear the Italians do covers for CW and other American pop music with no trace of an accent. They were amazing! Love you too!